Attendees at the Consumer Electronics Show (CES) in Las Vegas. One of Huawei’s most senior executives has accused the United States of a “geopolitical campaign” against the company in an attempt to gain leverage in trade negotiations with China. 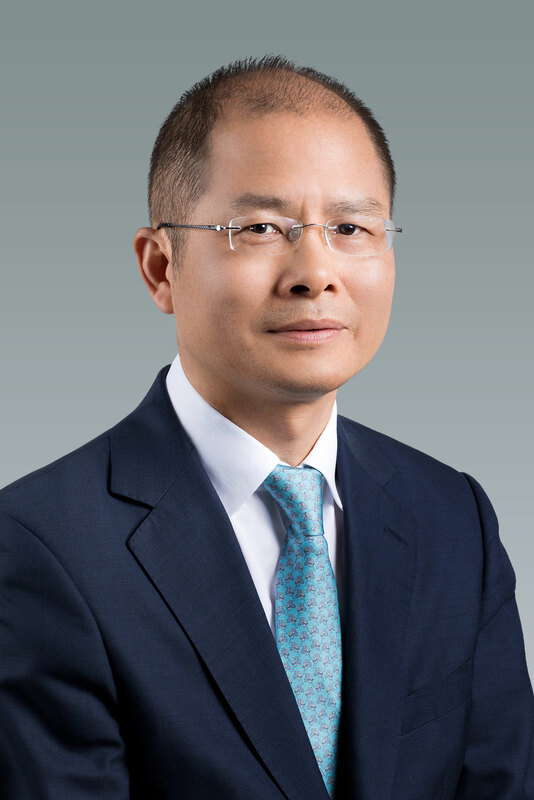 Eric Xu, one of the Chinese technology giant’s three rotating chairmen, said the US labelling of Huawei as a cyber threat was an attempt by the country to stifle the firm’s growing status as a tech industry leader. Mr Xu’s comments came in the wake of US Secretary of State Mike Pompeo warning European countries they could damage their relationship with the country if they used Huawei products amid continued tensions between the US and China over trade. “I think Mr Pompeo’s remarks are just yet another indication that the US government is undertaking a well co-ordinated geopolitical campaign against Huawei,” Mr Xu said. “We have been wondering – and I think many other people may have been asking this question – is the recent fixation on Huawei truly about cybersecurity or could there be other motivations? “Are they truly considering the cybersecurity and privacy protection of people in other nations or are there possibly other motives? Speaking at Huawei’s headquarters in Shenzhen, southern China, Mr Xu also suggested the US wanted to halt Huawei’s growth because it could hinder the work of US intelligence services. “Some other people argue that if Huawei equipment was used in those countries, US agencies would find it harder to get access to information about people or find it harder to intercept their mobile communications,” he said. Huawei has grown rapidly in recent years, with its smartphone businesses now the world’s second largest. It is also one of the key companies in the development of 5G – the next generation of mobile communications technology – which is expected to bring vastly superior mobile internet speeds when it begins to roll out publicly later this year. Mr Xu suggested that this also concerned the US, with 5G expected to be the infrastructure that will support smart homes, driverless car networks and other new technology in years to come. “When we look at major equipment providers for 5G, you have Nokia, Ericsson, Huawei, Samsung and ZTE – as you can see, there is no American company here,” he said. “China and Europe have been working together, trying to put in place a unified global standard for 5G and also the future mobile communication technologies in order to reduce the overall cost and improve return on investment for all the players in this industry. He also shook off suggestions that a blanket ban on Huawei products in the US would affect the company’s business. “First of all, we should say that Huawei’s infrastructure equipment is basically not present in the US market. And even smartphones are really not present there. The Huawei executive also reiterated the company’s plans to improve its cybersecurity through better software engineering, following a report by the UK’s National Cyber Security Centre (NCSC) published last year. The report gave only “limited assurances” about the firm’s security, however, Mr Xu said the firm was now embarking on a more than two billion dollar revamp of its source code, the foundation of its products, to redress any issues.